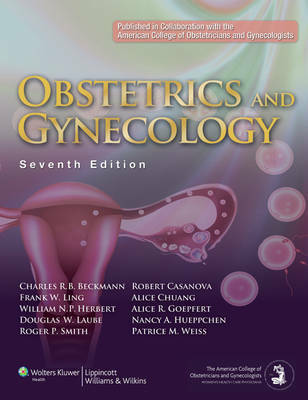 Established as the standard resource of the obstetrics and gynecology clerkship, Obstetrics and Gynecology is now in its revised Seventh Edition. This is the only clerkship book on the market fully compliant with The American College of Obstetricians and Gynecologist (ACOG) guidelines, treatment recommendations, and committee opinions. The text aligns with the Association of Professors of Gynecology and Obstetrics' (APGO) educational objectives, upon which most clerkship evaluations and final exams are based and provides key features for self-assessment, including USMLE-style questions.